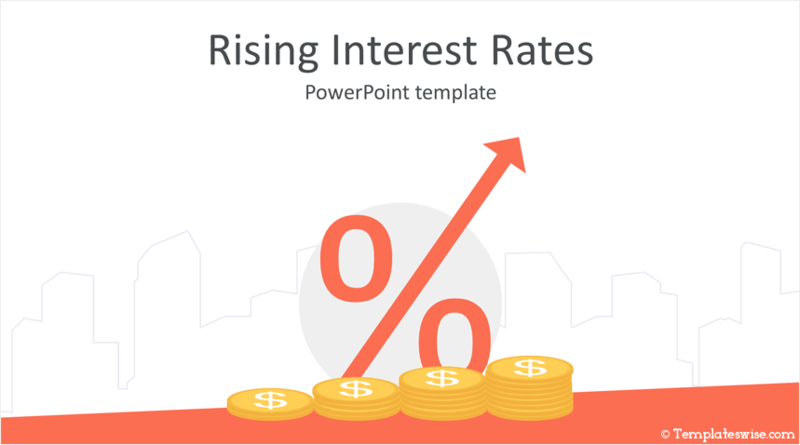 Impress your audience with this rising interest rates PowerPoint template. 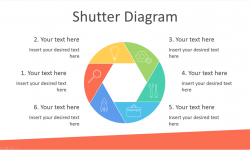 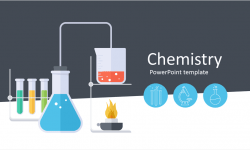 The title slide features a flat design illustration with a percentage sign icon with an arrow and golden coins rising trend. 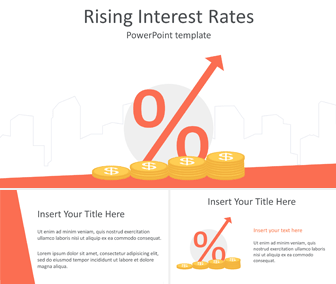 Use this template for presentations on the economy, higher rates, inflation, etc.